I used to be so in love with Vintage Dresses but as the years passed by, I kind of outgrew that love and so today, I'm not as into retro dresses as I used to anymore. 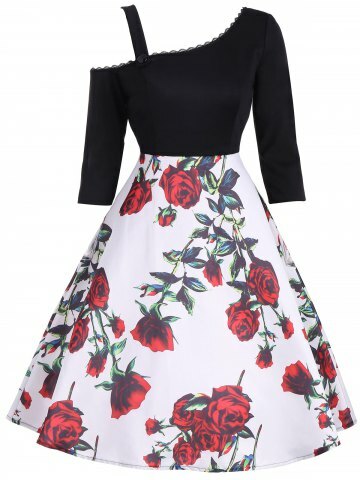 But as I was browsing the collection of Rosegal, that love kind of blossoms back because the shop has modernized retro dresses. 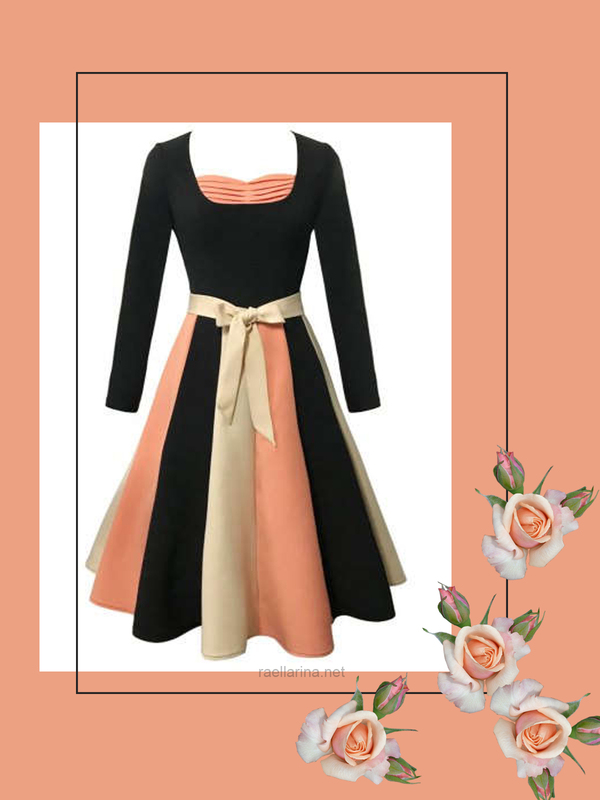 The color combination of this dress is just playful and fun! The style of the bottom part or the skirt is girly but still very classy. I also love the bow detail at the waist. I also like that it's long sleeved with a plunging neckline, making it really classy yet very trendy. 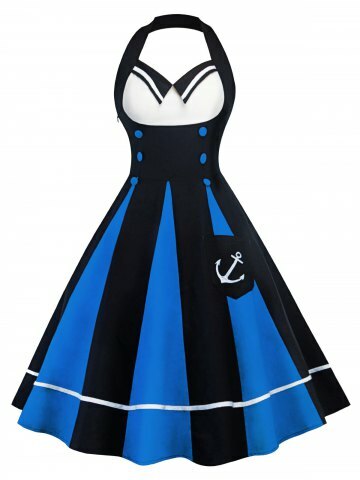 I love the movie Titanic and this pin up dress reminds me so much of that movie! I know the movie isn't as bright and bold as this dress but the nautical design is just gorgeous like how can you resist? 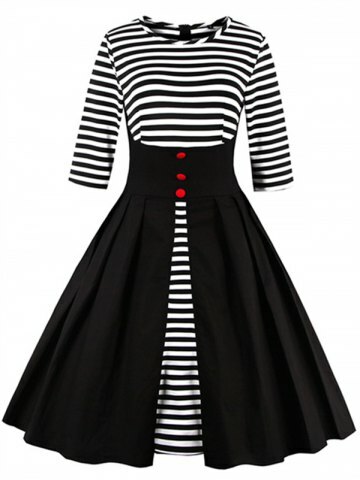 I'm a huge fan of stripes and i love how the midi skirt is wrapped around the striped dress. The style is kind of out of the ordinary and the dress is really gorgeous! It's available in a variety of colors too but I prefer this all black design! This dress on the other hand is more modernized and trendy than the first 3 dresses. The floral print is beautiful and I love the color combination of the reds and the white. The off-shoulder asymmetrical top also win me over as I really have a soft spot for off-shoulder pieces. The lace-like detail of the top makes the whole dress very classy. Summer sale is ongoing, all from 33% off. Use code RGEN for another 10% off! I particularly love the first dress! Amazing dresses, so interesting selection dear! Lovely post. I loved the navies ones! 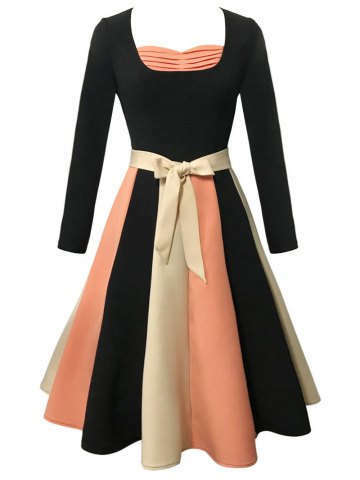 These dresses are so cute! Especially the first one! i think roses are beautiful too! have fun shopping! i wanna buy new clothes too haha. Lovely choices, I like most the first dress. Rosegal is a great brand, they have many beautiful things.